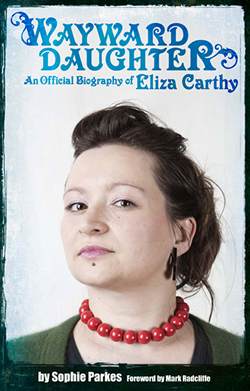 Wayward Daughter: An official biography of Eliza Carthy: Buying from Amazon? If you've bought your copy from Amazon and received an email to say it might be arriving a little late, don't worry - we've just had assurance that Amazon now has stock and will be dispatching promptly. If you'd like to order your copy from Amazon, you can do so here. Eliza's site will also be stocking the book shortly, so if you're not an Amazon fan, you can order direct from Eliza's online shop. Wayward Daughter is also available to order from a wide range of other outlets, include Waterstones and Foyles.